At the beginning of the school year, we were invited to come and share a talent, a craft, read a story, etc. during Autumn’s class. I can’t remember if I picked the month of January or if they gave me that month… but, I chose a craft (of course!) and since I am SO tired of winter, snow, etc. I decided to go with a Valentine’s Day theme. 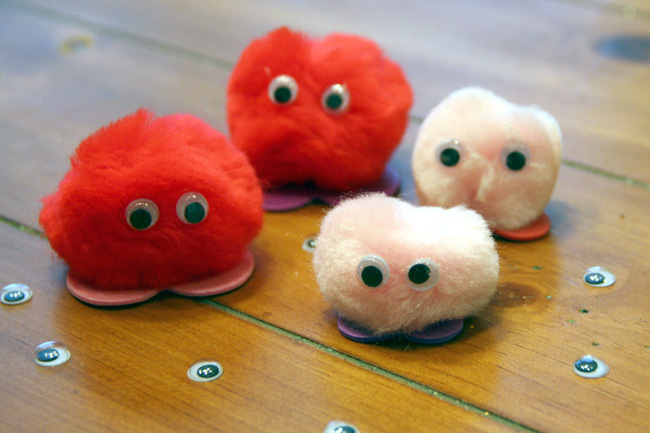 Pom Pom Critters! 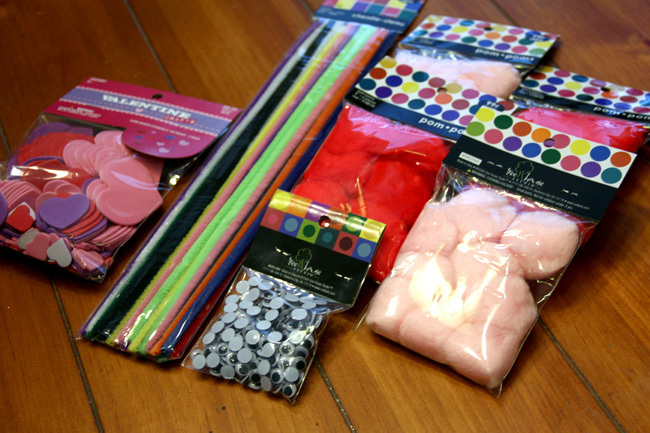 I spent $11 on this craft, just because I didn’t have any of these items at my house. 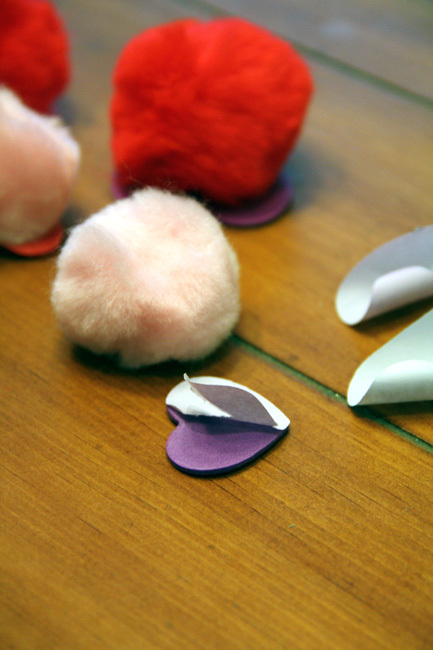 Peel off the paper from the sticky side of the foam heart, Then, stick your critter on top of the sticky side of the heart. Now he has feet! 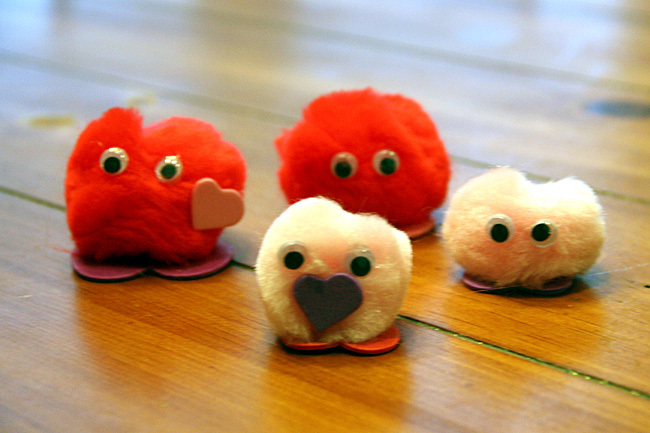 If there are some smaller foam hearts, you can add these as accent pieces to your Pom Pom Criter’s face. 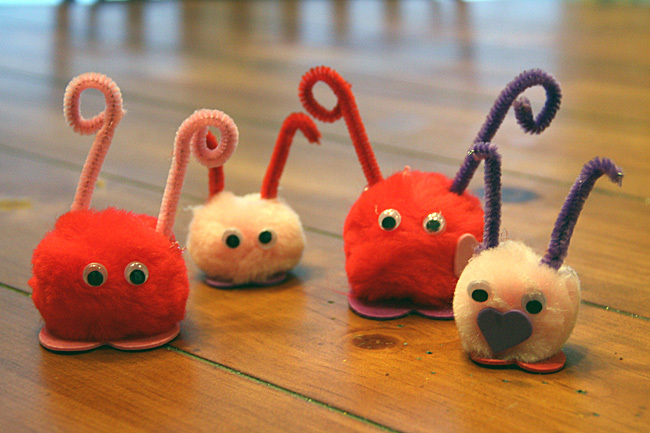 Next, glue their little antenna’s on… you can curl the end of some of them with your pinky finger. Give your critter a little snack. 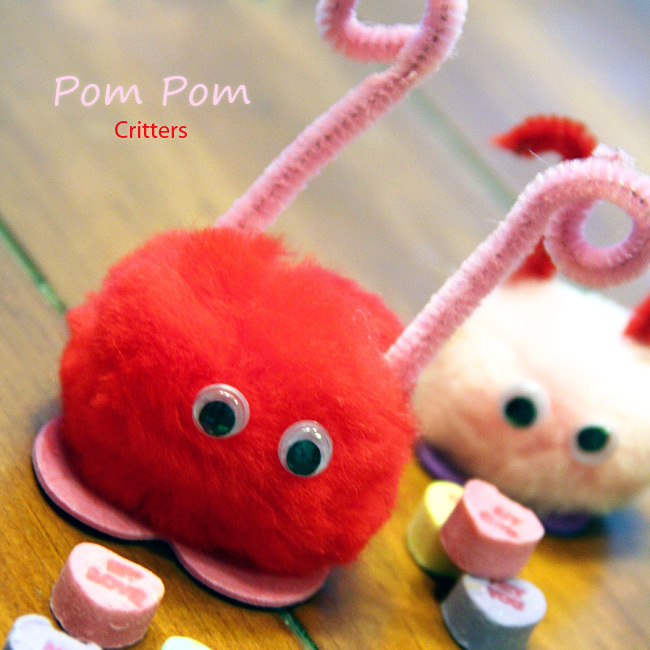 I will give each child a clear sandwich bag to take a little scoop of candy home for their Pom Pom Critter’s treat. I bet feeding the critter will be their favorite part. 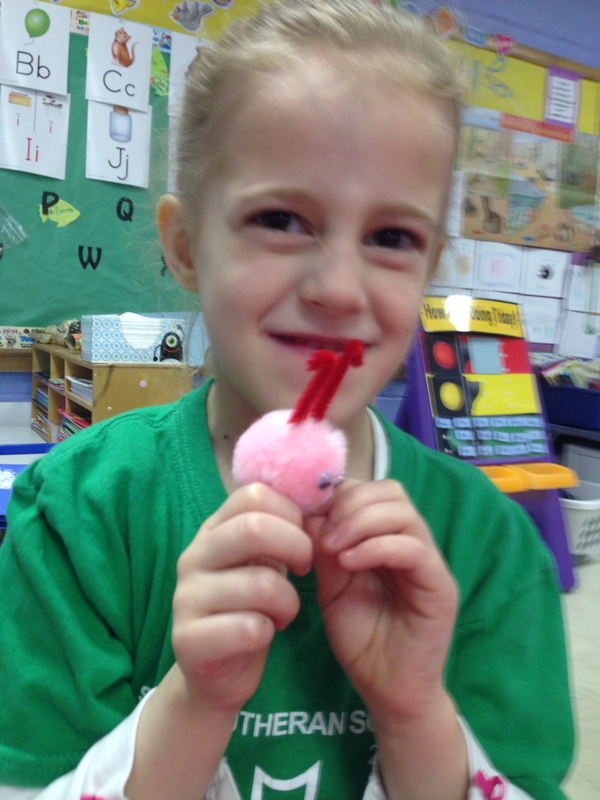 Today I brought this fun little craft to Autumn’s class and the kids all LOVED it. 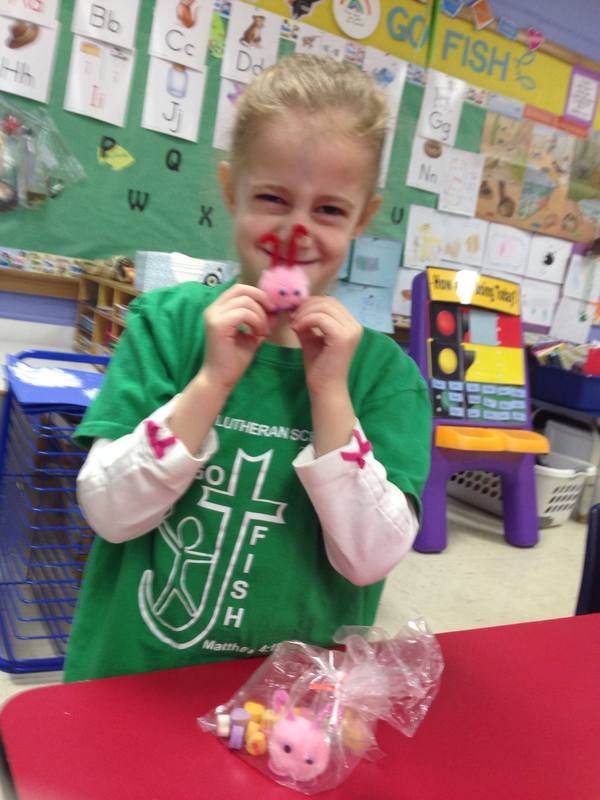 One child in her class named her critter after my daughter! lol. 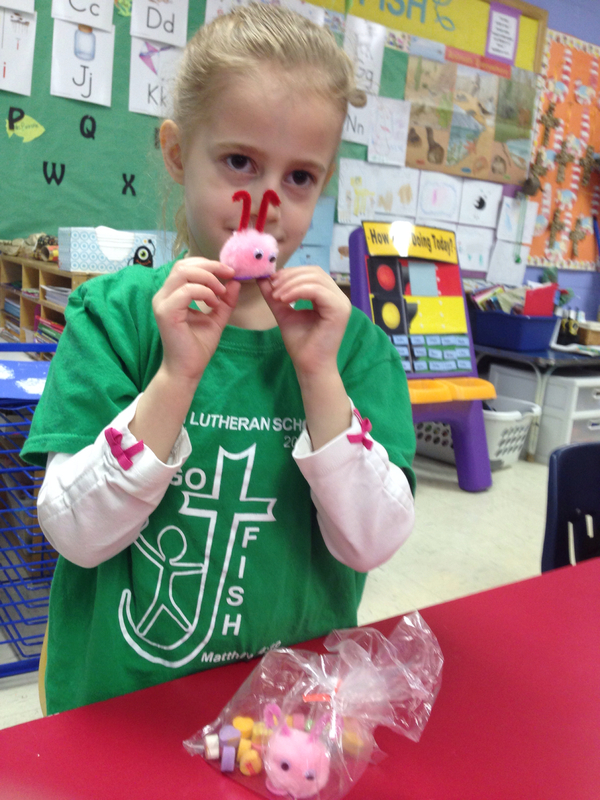 Here is Autumn with one of the example critters I brought and then her critter she made in class is in her little bag with its ‘treats/food’. 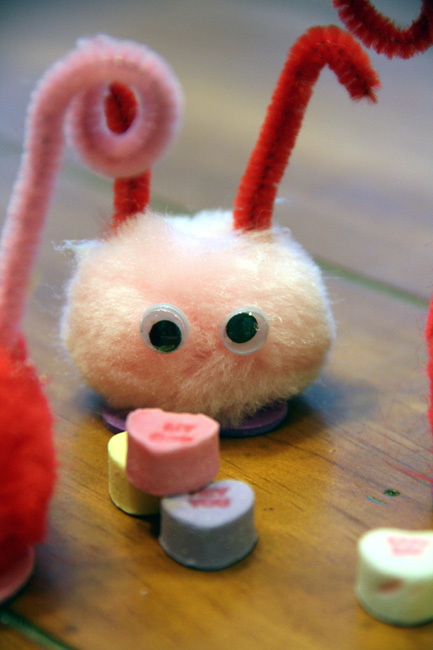 The kids loved that their critters received little candy hearts for food and quickly munched on a few before lunch. So sweet.